Long before giant wind turbines were invented, wind energy was used for a host of things like pumping water, grinding grain, propelling boats, etc. In fact, it is one of the oldest sources of power used by man! How does it work, and what are wind energy pros and cons? In this article, I’ll give you an objective comparison of the benefits and drawbacks of wind energy. While there are, of course, both positives and negatives, many of them have been exaggerated or distorted for a variety of reasons. Today, I’ll also set the record straight on the hottest topics up for debate when it comes to wind energy. Wind is a motion-based form of energy called kinetic energy. We use wind turbines to capture that kinetic energy and turn it into mechanical energy. Wind blows over turbine blades and a generator converts that energy into electricity, what we use to turn on the lights. Over the past decade, we’ve begun to utilize wind energy more and more globally. In the US alone, the industry has grown at a rate of 30% per year for 10 years. At present, renewables in the US make up about 15% of the energy that’s generated at utility-scale facilities, of which wind contributes about 5.6% — more than one-third! Wind power is a fully renewable resource, meaning its energy is created “from a source that is not depleted when used.” Thus, as with solar power, it is inexhaustible and abundant. Interesting fact, wind is actually a form of solar energy! The wind blows as a result of the heating of the atmosphere by the sun, the rotation of the Earth, and irregularities of the Earth’s surface. When these surfaces are heated by the sun, hot air rises and cool air settles. This difference in atmospheric pressure creates wind. Unlike conventional energy sources like oil, which is only found in a limited number of countries, wind blows all around the world! Thus, energy generated from wind increases national energy security as it requires no buying or trading between countries and comes at an affordable price. Once a wind turbine is up and running, its maintenance and operational costs are very low. A lot of this has to do with the fact that, unlike many conventional fuels, the actual source of energy is free! There is no gas or oil to extract, no coal or uranium to mine. However, when it comes to comparing the cost of wind energy per kilowatt-hour to conventional fossil fuels, the absolute numbers are a bit more difficult to pinpoint. Why? Firstly, the price of wind-powered energy varies widely from state to state. Secondly, this renewable energy source is heavily subsidized by the US government in the form of federal tax credits (further explained below, though of course fossil-fuel industries also get their fair share of tax breaks and incentives). Thanks to these tax credits, wind energy is very cheap and competitive with conventional fuels. But its future financial prospects hold uncertainty, as a host of tax credits are set to expire in 2020. We’ll talk more about this in the ‘Cons’ section of this article. 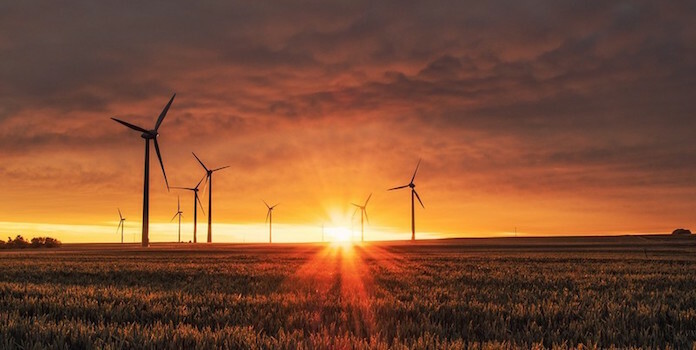 For an in-depth breakdown of exact wind energy costs, and a comparison with solar powered energy, read our article How much does wind energy cost? While wind turbines create no global warming emissions during operation, there are minor emissions created in the various stages of wind energy’s total life-cycle (think about the work required to create the actual blades of the turbine, the energy used to transport them to the wind farm site, the conduction of routine maintenance, etc.) However, the total carbon impact is so incredibly small that it’s listed in our ‘Pros’ category. Let’s look at some numbers for comparison: based on average estimates of energy generation from wind turbines, the total life-cycle of carbon emissions are between 0.02-0.04 pounds of carbon dioxide per kilowatt-hour. Relative to electricity generated from coal, which creates 1.4-3.6 pounds of carbon dioxide per kilowatt-hour, wind energy’s footprint is less than 1.5% of one of our most widely used energy sources. That’s a tiny carbon footprint! The operation of wind turbines requires virtually zero water consumption. Maybe this doesn’t wow you until you think about the fact that nearly all conventional (and some renewable) energy sources require significant amounts of water in their energy production process. According to the International Energy Agency, energy production in 2010 used 15% of the globe’s total water withdrawals (page 2). This includes fresh water taken from ground and surface water sources, both permanently or temporarily. To be fair, wind energy uses water when producing the steel and cement to construct its turbines, but the amount is minuscule. So minuscule in fact, that extremely low water usage is consistently noted as being one of the best aspects of wind energy (page 10 of the previous link). Wind usually blows stronger and more consistently in less urban areas. Additionally, there’s more space for wind turbines in rural areas than in city centers. In the US, many wind turbines have been built on existing farms or ranches, as they are areas with a plethora of land and their addition brings little to no disruption to cultivation activities. This benefits the agriculture sector, an industry that is highly exposed to fluctuating commodity prices. Agriculture producers can either invest in the wind turbines themselves or rent out plots of land to wind power plant owners. In 2015, annual lease payments for wind turbines in the US totaled more than $220 million, and this number is still on the rise. This additional income serves as a boost to local economies and offers a more stable avenue of income to farmers. Another great perk about wind turbines (and wind farms in general) is that they can be decommissioned easily and quickly without rendering the land unusable. This is not true for many conventional power plants like coal or nuclear, which are much more difficult to decommission and require a very long timeline to do so. According to the 2017 U.S. Energy and Employment Report, last year nearly $9 billion dollars of private capital was invested in the wind energy sector, which employed more than 100,000 people. The Bureau of Labor Statistics has named the wind energy industry America’s fastest growing occupation, with a projected 108% growth in jobs over the next decade. Let’s start off the ‘Cons’ list with one of wind’s most crippling aspects, its intermittency. We can’t rely on wind power to meet our demand needs throughout the day. The wind doesn’t blow strongly and consistently enough throughout the day, nor during peak energy demand hours (i.e. in the morning when we get dressed for work, and in the evening when we cook dinner or watch TV) to be a primary power source on the electricity grid. Instead, it is used as a secondary source, as is solar. While solar is also an intermittent source, it is more predictable than wind. We can predict pretty well which hours in the day the sun will shine. We cannot, however, determine with the same rate of accuracy when the wind will start and stop blowing. Technology has been created to predict this, but there are also other variables at play. Each time we turn a coal generating power plant on and off, it costs money and takes time. System operators can’t ask conventional power plants to switch on and off every time the wind stops or starts. Thus, until we are able to bring down the cost of energy storage systems (like batteries) that will allow us to offer enough consistent, cost competitive wind energy to the grid, nearly all forms of renewable energy will be a step behind in providing reliable energy (more about this in point 2). The large influx of wind facilities built over the last decade is thanks in large part to the renewable energy production tax credit offered by the US government to the tune of roughly 30% (depending on the time of construction, this number lowers with each passing year). As of today, all wind facilities commencing construction by December 31, 2019, qualify for the full tax credit. As a good chunk of the subsidies for green energy begin to expire over the next couple of years (2020 for the one mentioned above), wind energy, along with other renewable energy sources, will need to stand alone on a firm foundation of infrastructure and increased investment in order to compete with conventional fossil fuels. While the cost of generating wind energy is low, the cost of storing it is not. I mentioned above about the intermittent nature of wind and its lack of affordable storage options. This leaves wind 0-2 when it comes to offering reliable and cost-competitive energy compared to fossil fuel heavyweights like coal and natural gas. However, as governments around the world continue to push forward efforts to increase renewable energy production and curb greenhouse gas emissions, burning conventional fossil fuels is likely to become increasingly costly. The University of Texas at Austin conducted a study to find which power plant is cheapest to build (excluding subsidies) in each region of the country, given its particular geographic makeup and state laws. While nuclear was the clear winner in most regions, in the event of a small carbon tax, wind energy becomes the cheapest option for a large part of the country, particularly in the Midwest. Thus, price parity may come sooner than we think. Remember how we talked about the wind blowing stronger in more remote areas? This can have its downside too, as the majority of energy demand is in population dense areas where most energy consumers live. This requires long transmission lines to get wind power from its source to the end consumer, which ultimately raises the cost and lowers the convenience level of wind energy. The cost of transmission lines is just one of many expenses when it comes to constructing wind turbines. 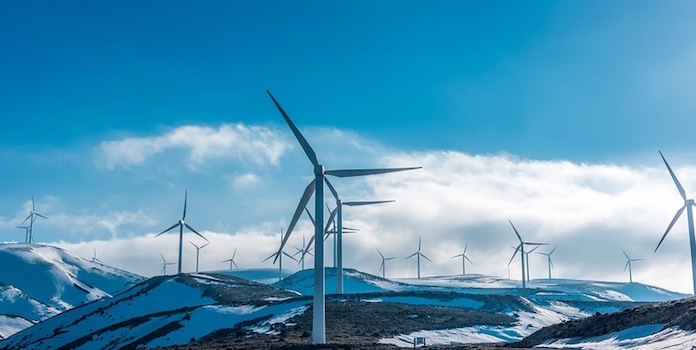 While maintenance and production costs are low, the up-front costs of wind facilities are rather high compared to most of its renewable counterparts. 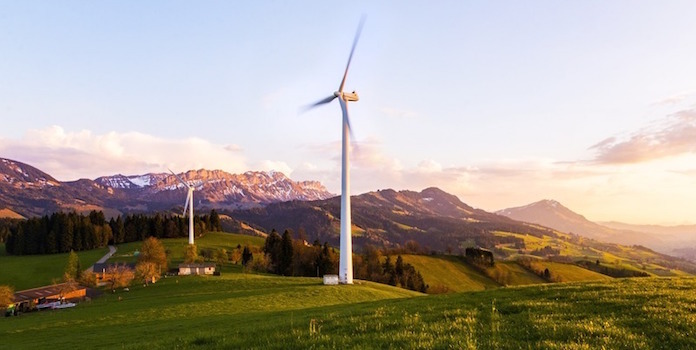 The upfront costs of wind facilities include the turbine itself, the foundation, electric installation, grid connection, land, roads, etc. According to data collection conducted by the EIA on the total construction cost for all generators installed in 2015, wind facilities placed first among renewables at a towering $13.4 billion. Solar trailed behind at $9.3 billion, and natural gas at $4.5 billion. Of course, almost 3x more wind energy was actually installed than solar, so it’s actually a pretty good deal. This probably doesn’t paint a comprehensive picture of costs, so let’s look at the data from another angle. Of all the wind power that was built in 2015, the capacity-weighted average construction cost (which takes into account the size of installations) came out to $1,661 per kilowatt-hour, compared to hydro at $580 and natural gas at $696. In this more proportional data set, wind ranked second (in total cost) in a line-up of renewables, with solar in first at a whopping $2,921 per kilowatt-hour. (As a note, all government subsidies and credits were excluded from these numbers, which is why they may surprise you. Check out our post on US solar subsidies to learn more about these credits). Keep in mind that these figures refer to utility scale projects and do not represent the costs for residential renewable power generation. If you’re interested in wind energy for your home, we’ve got all the cost details for residential wind turbines here. When it comes to offshore wind turbines, these costs can easily double due to their remote location and their increased size. This is especially true when it comes to building submarine cables (offshore wind’s equivalent of transmission lines) that connect offshore wind energy to the electricity grid. If lots of numbers scare you, here’s the bottom line: wind is costly to build compared to other generation plants. That’s why this aspect belongs on our ‘Cons’ list. We’re heading into murkier territory here, as this con is based completely on opinion. However, it’s important to address wind turbines serving as an eyesore for many people. While some see them as majestic pillars of human progress, others believe they litter our landscapes and ruin our panoramas, creating the ‘not in my backyard’ idea. Some people are happy to promote the use of renewable energy as long as it doesn’t personally affect their living area. As is true with most things, beauty lies in the eye of the beholder. What we can say for certain is that wind turbines alter our landscapes. Noise from wind turbines, unlike their aesthetic beauty, can be measured and quantified. As with any machine comprised of moving parts, wind turbines generate sound during operation. This noise comes from both the aerodynamic sound created from the interaction of the turbines with the wind, but also from the gearbox and generator, located where the blades connect to the turbine. But how noisy are they? Well, let’s add some numbers to create an objective analysis. Between residential-sized turbines and large-scale turbines, the most sound emitted from these machines is about 57 decibels at maximum rotational speed. That means, only when the wind is blowing about 28-30 miles per hour, will noise levels reach this number. Let’s compare this to an average noise level of a household appliance like a dishwasher, which emits about 60 decibels. When you’re standing close to your dishwasher while it’s running, you can definitely hear it. How about when you go into another room? Can you still hear it? Maybe a bit, maybe not. What if your dishwasher was located half a mile from your house, outside, and there was a strong wind? Definitely not. So, while we can admit that wind turbines create noise, their noise levels are suggested to be very low, and the issue is small-scale in absolute terms. A common complaint we hear about renewable energy, in general, is that it takes up too much space. We already touched on the topic of wind facilities’ land use in our ‘Pros’ list when we talked about wind turbines often being built in agricultural areas and farms. But let’s take a closer look at just how much fertile ground is occupied by wind turbines. Each turbine constructed must be placed 5 to 10 rotor diameters apart from another (a rotor is the length of a wind turbine blade). The National Renewable Energy Laboratory conducted a survey which found that large wind facilities in the US use roughly 30-140 acres per megawatt of power output capacity, but less than 1 acre per megawatt is disturbed permanently because wind turbines don’t occupy all of the lands on which they are built. The land between turbines can be used for a host of productive activities, like cultivating agriculture, grazing livestock, building highways, or even hiking trails. While a good portion of wind turbines are constructed on or near agriculture sites, it’s not at all mandatory. In fact, wind facilities can also be constructed on sites called brownfields, which are abandoned or unused industrial lands that then become useful again. 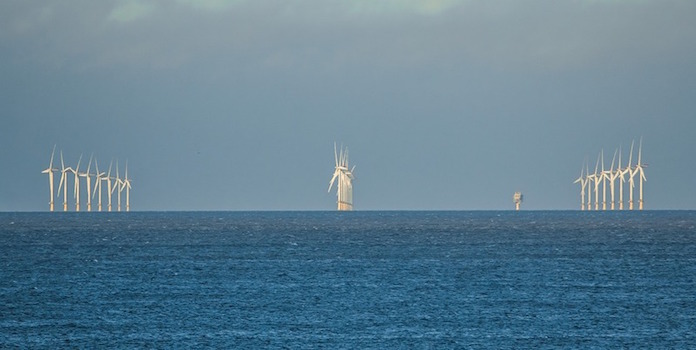 When it comes to offshore wind turbines, more space is required because both the turbines and the blades are larger than their onshore counterpart. Thus, the space occupied by the turbines may compete with a host of ocean activities like fishing, aquaculture, navigation, and the extraction of other energy sources (it’s not all bad news, though, check out #8 for more details). So, while we can say that wind energy generation occupies space, it certainly isn’t a land hoarder compared to some mammoth fossil fuel generating power plants, and even some other renewable resources. Additionally, it doesn’t have to compete with fertile land. There has been a lot of hype over the danger that wind turbines pose to wildlife, mainly birds and bats. While this was true in the earlier stages of windmill production, before improvements in technology and research had been conducted, today it is a much less prevalent issue. In fact, data collected from 116 studies conducted in the U.S. and Canada found that between 214,000 and 368,000 birds are killed annually by wind turbines, compared to roughly 6.8 million deaths resulting from collisions with cell and radio towers and the 1.4 billion to 3.7 billion deaths from cats. Relative to other dangers, we can say that wind turbines are not a large threat to avian wildlife. Offshore wind farms have received similar critiques about disrupting fish and marine wildlife habitats. However, in England offshore turbines have been shown to increase fish populations by acting as artificial reefs below water. This creates more food for marine mammals higher up the food chain. As always, proper research is required before choosing a suitable wind facility site, both onshore and offshore. 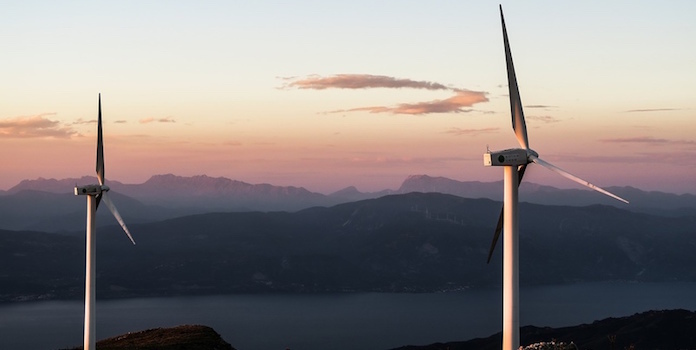 Knowing wind energy pros and cons, what’s your verdict? Now that you have the facts about wind energy, you can make up your mind about whether you’re behind the movement. When it comes to competing with the biggest fossil fuel heavyweights, only time will tell if wind power’s high potential can stand on its own two feet after the government tax credits subside. One thing is for sure, wind energy will continue to be a major player in the renewable energy game for as long as the sun continues to shine, the wind continues to blow, and countries continue to value clean energy as a solution to our uncertain environmental future. Please leave us your comments and ideas for expanding our pros and cons list!